We all know that Communication is key. That is why we strive to provide the best possible customer and agent service experience possible. In order to do so, we offer the following Customer Service offerings in order to make sure you and your clients receive stellar service. Our 24 hour customer service hotline makes sure you and your clients always have someone to speak to. Designed to ensure a consistent, reliable and measurable service experience, The Local Realty’s customer service program enables you to deliver a more satisfying experience to your customers; allowing you to increase chances of closings, while receiving more referrals and repeat real estate business. Our Associates receive a free online appointment booking system which links with their Google calendar; allowing clients the ability to book appointments through their website! You can also schedule a number of appointments with any of our Sales or Training Staff 24 hours a day. 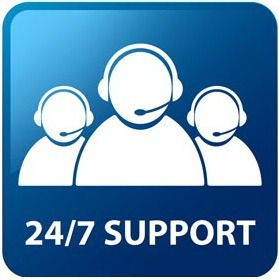 Our online support center enables you to view and submit any questions which you may have. A fully transparent system which allows your questions to be answered in a timely manner, either by our support staff, or by one of your fellow Associates. Through our partnership with the LocalRealtors.com network, real estate clients can contact our agent match team who will pair them with one of our top local experts. Ensuring that each customer receives the best care possible, our lead managers will work with you as your 3rd party support in order to make sure your client is happy throughout the entire process; reporting back to you with tips or issues which may need to be addressed.